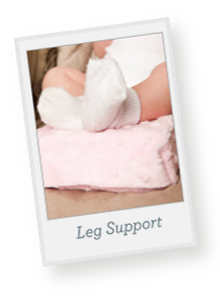 The incline leg rest provides comfort and support whenever and wherever needed. 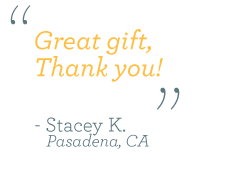 Elevating and changing leg positions reduces stress on the lower back and promotes positive blood circulation. 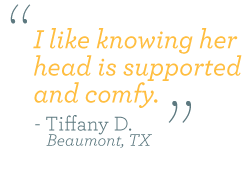 The patented contoured head and neck support provides unmatched comfort and support. 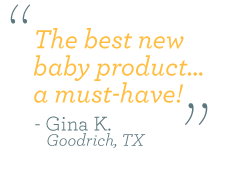 Protect baby from firm flat surfaces at home or on the go. 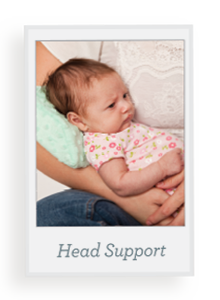 If you can't hold your baby for feeding due to injury or multiples, Versy provides a helping hand. 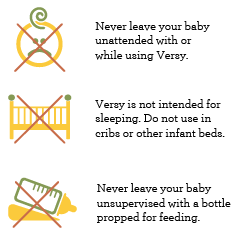 Do not use Versy to prop a bottle and never leave your baby unattended. 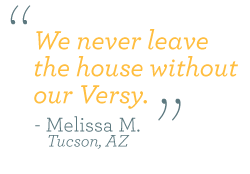 Warning — Never leave baby unattended when using Versy. 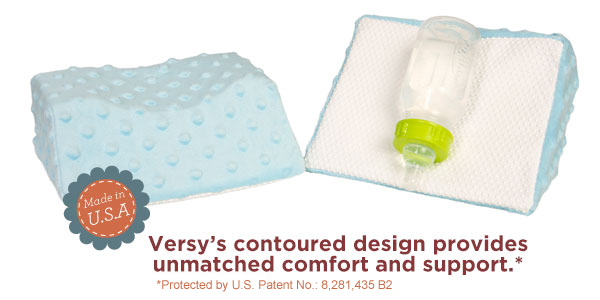 Versy is not intended for sleeping and should not be used in a crib, bassinet, or any other sleeping device. 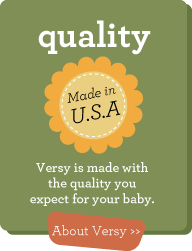 Versy is not intended for propping a bottle and leaving a baby unsupervised to feed. Risk of suffocation possible. 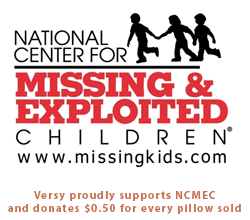 Improper use could result in serious injury or death. 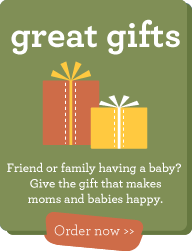 If baby shows any signs of discomfort discontinue use immediately. Do not allow baby to lie on their side or face down on Versy. 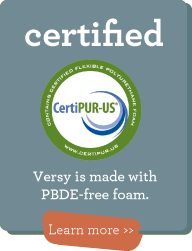 Versy is not a medical device and has not received approval by the FDA as a cure or effective tool in the prevention of Infant Flat Head Syndrome. 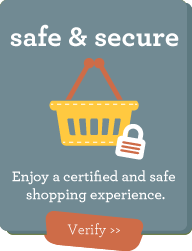 CertiPUR-US® is a registered certification mark of Alliance for Flexible Polyurethane Foam, Inc. © 2010 Alliance for Flexible Polyurethane Foam, Inc. All rights reserved.